This week, Suzanne Gray will discuss her Water Across the World project, where she works with students in rural Uganda and those in rural Ohio to connect them on issues of water quality in their respective communities. Suzanne Gray is an Assistant Professor of Aquatic Physiological Ecology in the School of Environment and Natural Resources at Ohio State. Her research, which takes her across the world, investigates fish and aquatic ecosystem responses to multiple environmental stressors, both natural and anthropogenic. 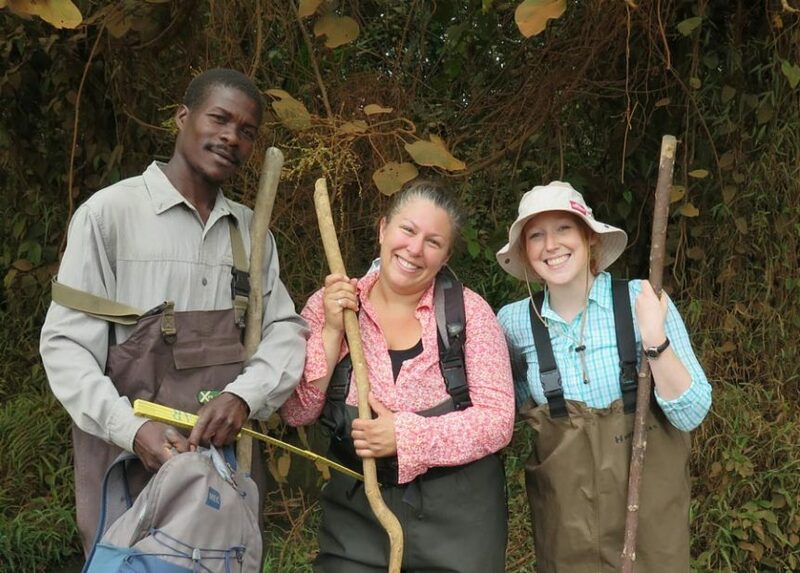 Photo: Kiberu Mutebi, Suzanne Gray, and Tiffany Atkinson during a sampling day at the Ndyabusole swamps in Uganda, Africa. Source: Suzanne Gray.